Last Friday, Mother Agnes Mary Donovan of the Sisters of Life came to visit me in her capacity as the head of the Council of Major Superiors of Women Religious. She was accompanied by our Delegate for Religious, Sister Marian Batho. 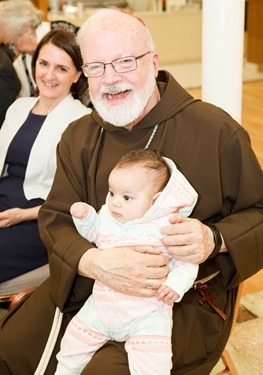 She came to share with me her experience surrounding the results of the apostolic visitation of the women religious orders in the United States and also to share thoughts around her experience with the different Congregations in Rome. 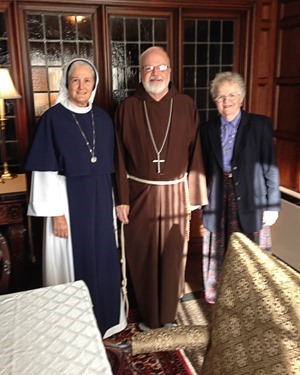 We’re always very glad to see the Sisters of Life and we have great admiration for the fine work that they do. It is my hope that they will someday have a presence in Boston. 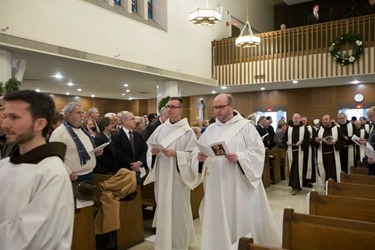 Saturday, I celebrated the ordination of two Franciscan priests of the Holy Name Province, Fathers Ross Chamberland and Jeffery Jordan at St. Anthony’s Shrine on Arch Street. 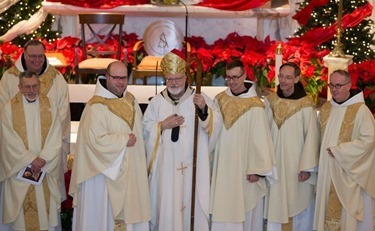 With us were the Provincial Minister Father Kevin Mullen and Provincial Vicar Father Lawrence Hayes and our own Bishop Robert Hennessey. 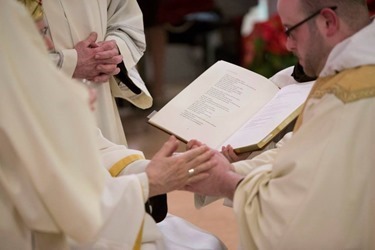 Since the province stretches from New England to Florida, they vary the location of ordinations. 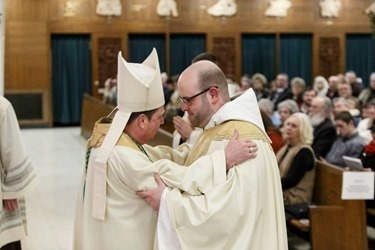 I understand it is only the second time that they have ever had in ordination at the shrine, the last time being more than 30 years ago. 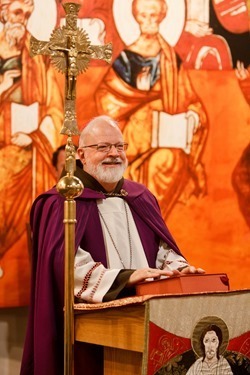 Father Chamberland is from New Hampshire and Father Jordan was raised Protestant in Georgia, but became Catholic about 10 years ago and is now studying in Rome. 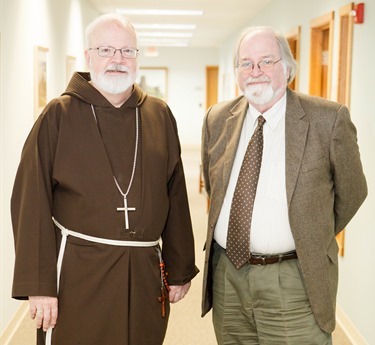 Both had professed final vows as Franciscans over the summer. 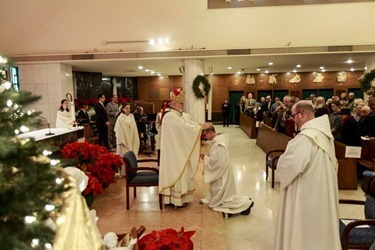 It was nice to be able to celebrate this ordination for the Holy Name Province on the Feast of the Most Holy Name of Jesus, which is a very Franciscan feast. St. Bernard of Siena was very instrumental in promoting that devotion — in writing Litany of the Holy Name, inserting the name of Jesus into the Hail Mary, and many other aspects to the devotion of the name of Jesus. 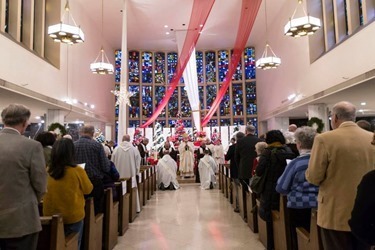 Sunday was of course the Feast of the Epiphany, which is always a very important feast, especially in the Hispanic community. 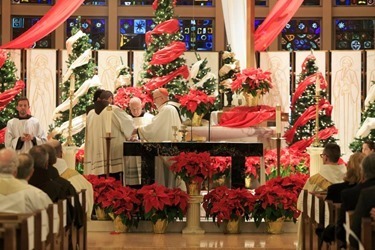 So, whenever possible, I like to celebrate the Spanish Mass at a local parish. 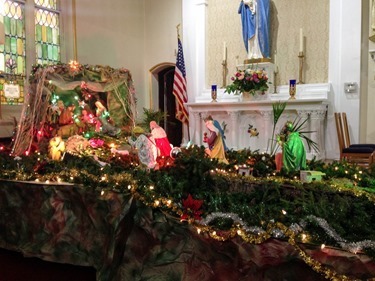 This year, I went to Our Lady of the Assumption in East Boston. 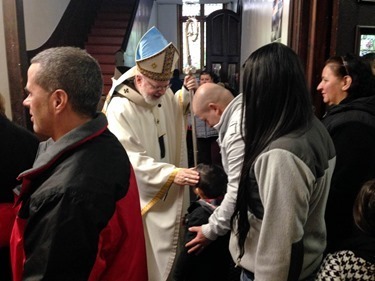 Father Guido Marrosu, who is from Italy, is the administrator there and he is doing a great job. 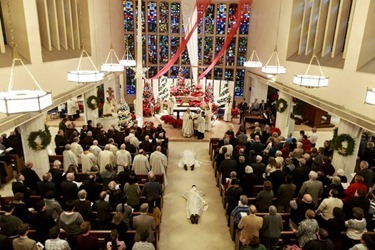 It is a very vibrant parish where they have a growing Spanish Mass and a strong presence of the Charismatic Renewal and the Neocatechumenal Way. 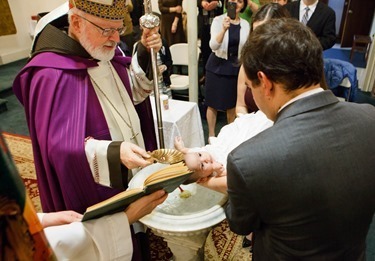 Following the Mass, I was happy to celebrate the baptism of the first grandchild of Antonio and Reyes Enrique, Olivia Isabel. 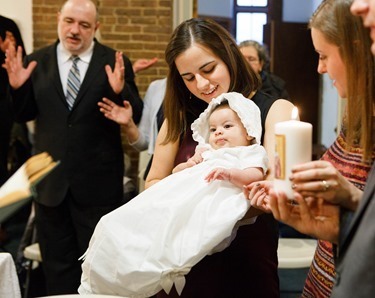 Antonio is the editor of our diocesan newspaper, The Pilot, and Olivia is the child of his daughter, Ester. 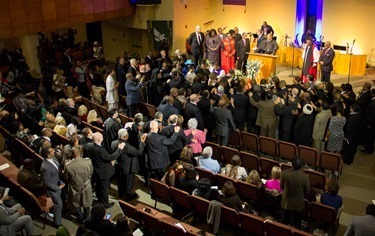 Many members of her family and local community participated in the celebration. 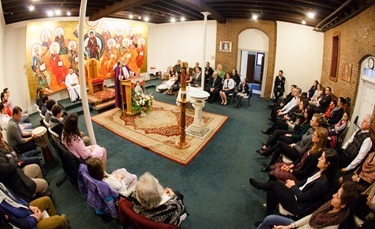 Afterwards, we gathered for a reception in the parish hall. 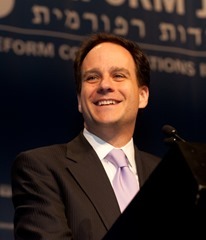 Monday we learned that Rabbi Jonah Pesner has been named to head the Religious Action Center of Reform Judaism in Washington, D.C. So, I contacted him to let him know that, though we are sorry to see him go from Boston area, we congratulate him and wish him well in his new appointment. 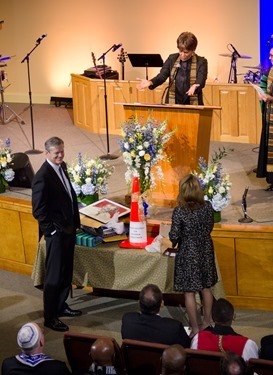 Readers may remember Rabbi Pesner from delivering the invocation at the Catholic Charities annual gala in 2013, the year we honored Barbara and Marshall Sloane. Tuesday morning, I was visited by John Liston, Executive Director of Serra International. I serve as the national spiritual advisor of Serra, and he came to update me on some of their recent projects and activities. 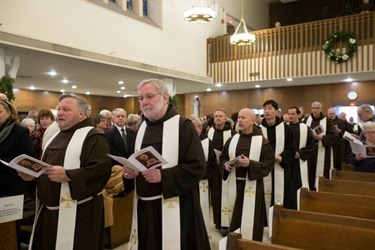 Serra is an international organization that works to encourage, raise awareness, and pray for vocations to the priesthood and consecrated life in the Church. 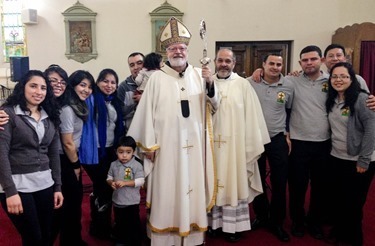 It was founded here in the United States, but has now grown to have Serra Councils in a number of different countries. After the United States, Brazil and Italy has the most Serra councils. And, of course, we have a wonderful Serra group here in Boston headed so ably by Brian and Loretta Gallagher. 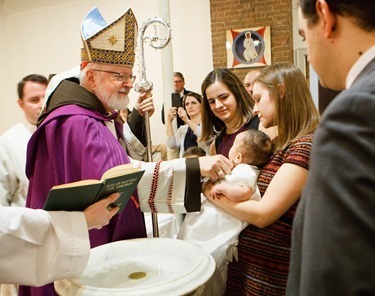 My own father was very involved in Serra, so I am happy to do whatever I can to support their mission. 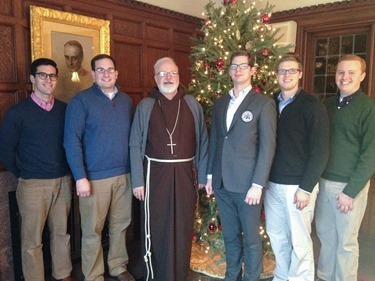 There was a group of seminarians who happened to be visiting the cathedral at the time, so we introduced them to John and asked them to take a photo with us. Also on Tuesday, I had a lunch with our Episcopal Vicar for the Central Region, Father Jim Flavin, and the vicars forane of the region. 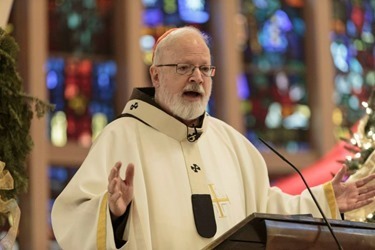 It is my intention to periodically gather for lunch with our episcopal vicars and their vicars forane to discuss issues such as pastoral planning and ethnic ministries as well as to just get a general sense of how things are going in their regions. This first meeting went very well and I am looking forward to future gatherings like this with the other regions of the archdiocese. That afternoon, I met with Ambassador Charles Stith who had served as U.S. 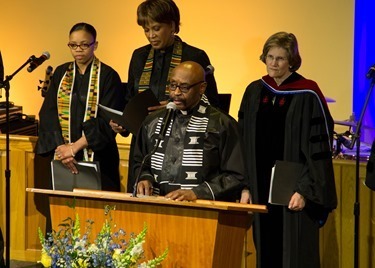 Ambassador to Tanzania and now is director of Boston University’s African Presidential Archives and Research Center. Ambassador Stith was leaving that very day for Kenya, but came to talk to me about repercussions of the Ebola crisis in Africa. One item in particular he stressed was the economic impact that publicity about the epidemic has had throughout the continent, even though the epidemic is really primarily affecting three West African countries. Obviously, we have been very focused on the public health issues surrounding Ebola outbreak but, he said, it was important to realize that it is causing suffering in other ways by having a considerable economic impact on countries that are already struggling. For example, he said South Africa has seen something like a $100 million loss in tourism revenue, despite the fact that they are thousands of miles from the Ebola outbreak. 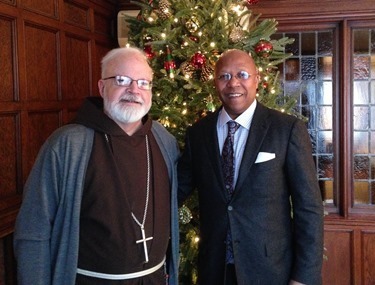 Wednesday, I had a farewell lunch with Robert Johnson-Lally who retired at the end of the year as the archdiocese’s archivist after more than 20 years. He was a steady presence and very helpful to everyone who needed his services. We are sorry to see him go. 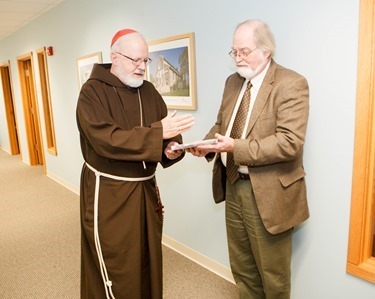 We are grateful for his careful curation of the documents and artifacts of the Archdiocese of Boston, which in a diocese’s historic as ours can be a very difficult task. We were happy to be able to have a farewell lunch with him and wish him well in his retirement. 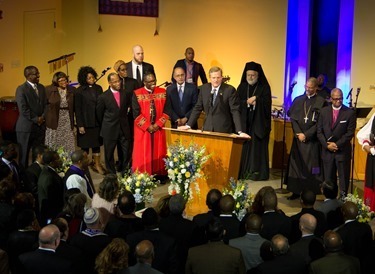 Wednesday evening, I attended the Interfaith Prayer Vigil at the Congregation Lion of Judah in Boston held on the eve of the inauguration of Governor Charlie Baker and Lieutenant Governor Karyn Polito. 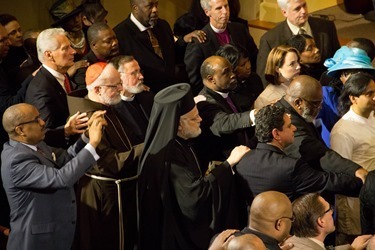 There was quite an impressive ecumenical and interfaith representation, with clergy from the Catholic, Orthodox, Protestant, Jewish and Islamic communities. 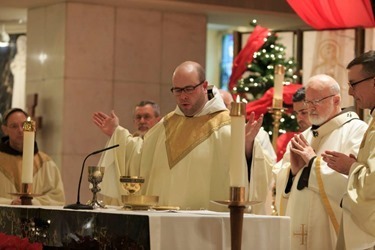 I gave the invocation and Metropolitan Methodios delivered the benediction. 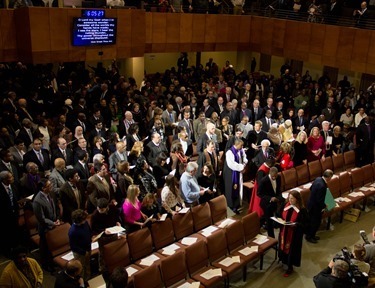 In between, 12 representatives of different faith communities each proclaimed a different Scripture reading that they had chosen for the occasion. Many of the selections were just beautiful. 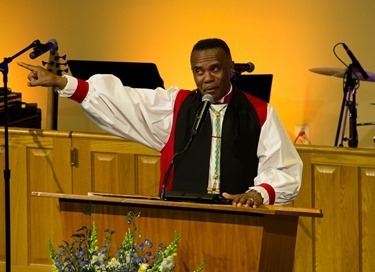 We also heard remarks by Bishop A.L. 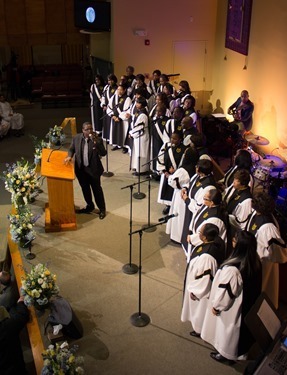 Foxworth of Grace Church of All Nations in Dorchester and a reflection from Governor Baker. 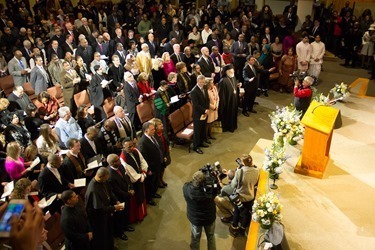 In contrast to some official prayer services that can be very staid or reserved, it was certainly a very spirited and faith-filled celebration. 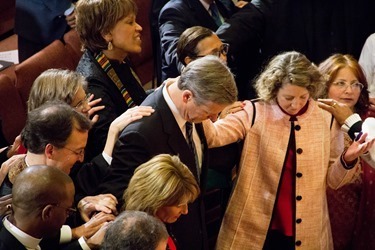 At one point, everyone prayed over the new governor. It was truly a very moving experience. 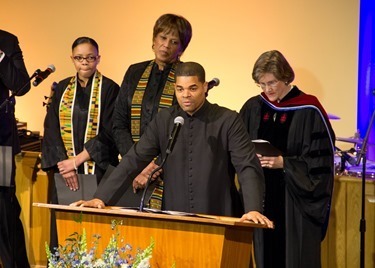 Finally, I recently had the opportunity to view an advance screening of the new film Selma, which chronicles events that took place 50 years ago as Dr. Martin Luther King, Jr. led the civil rights movement in America. The film chronicles how African Americans were systematically denied the right to vote in Alabama and suffered painful discrimination because of the color of their skin. In the midst of these circumstances, Dr. King led a peaceful but determined campaign to ensure that African Americans could exercise their constitutionally guaranteed right to vote. Tragically, violence was inflicted on many of those participating in that campaign and innocent lives were lost. 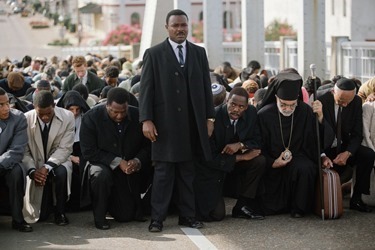 Mr. David Oyelowo, the British actor who portrays Dr. King, delivers an extraordinary performance that he has characterized as the fulfillment of a calling from God. Mr. Oyelowo is a man strongly grounded in his Christian faith and with his wife is raising four children. Like Dr. King, faith, family and an uncompromising commitment to justice and human dignity are the foundations of his life. These values are powerfully brought forth in this deeply moving film, which I highly recommend for your consideration.